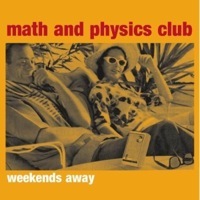 “Sixteen & Pretty” may be my favorite song by Seattle indie-pop group Math & Physics Club. It is a soft ballad filled with jangle and some light strings. There is little I find sweeter than this song, featuring tambourine in the chorus and lyrics reminiscent of an innocent first kiss. Following the trend of each song off Weekends Away, “Sixteen & Pretty” is a sure track for your next Summer Soundtrack Mix Tape or the next mix tape for that special someone. “Sixteen & Pretty” is followed by the upbeat “Love, Again”, a summer love song with brushed percussion and a near Hawaiian-style luau jangle. 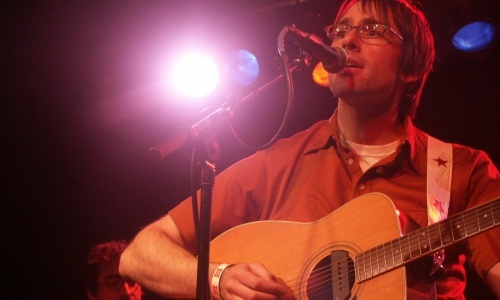 “When We Get Famous” is the final and most pop-ridden track on the 4-song EP. Another pop gem, “Weekends Away” is another example that sad lyrics in pop songs are not always necessary. Weekends Away is a unique EP. Spanning the childhood everyone wishes they had, the EP is filled with innocent joy and blissful naivety. I have never before heard such a happy set of nostalgic songs. In fact, I don’t believe a better set exists. This review was originally published September 15, 2006 on the old version of FensePost. Above photo also by Fense.